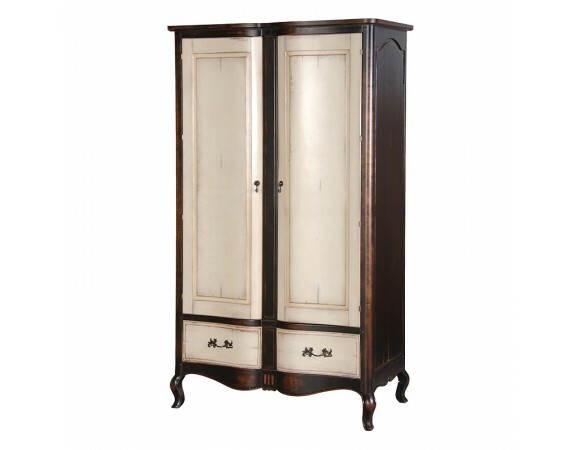 Ostentatious and flamboyant, our Augustus armoire boasts a truly gorgeous classical vibe. 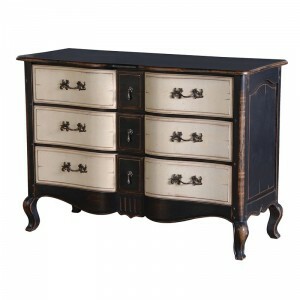 The whole range is a shining example of 18th century French style, featuring subtle curves throughout the body, combined with vintage distressing to accentuate the silhouette. 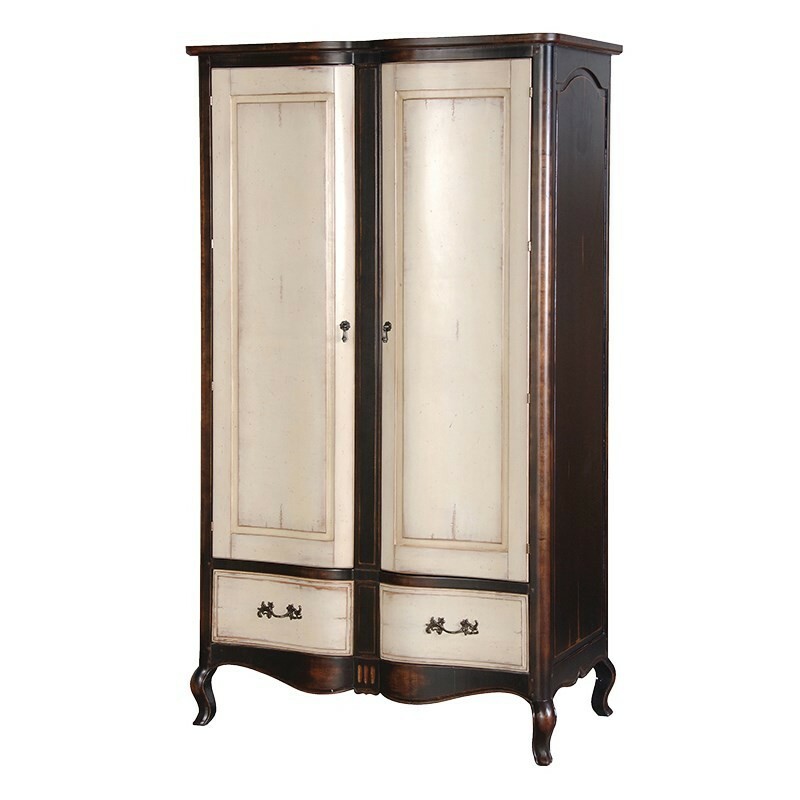 Along with a charcoal black and cream colour way, this piece blends shabby chic with traditional luxury to create a timeless appeal. 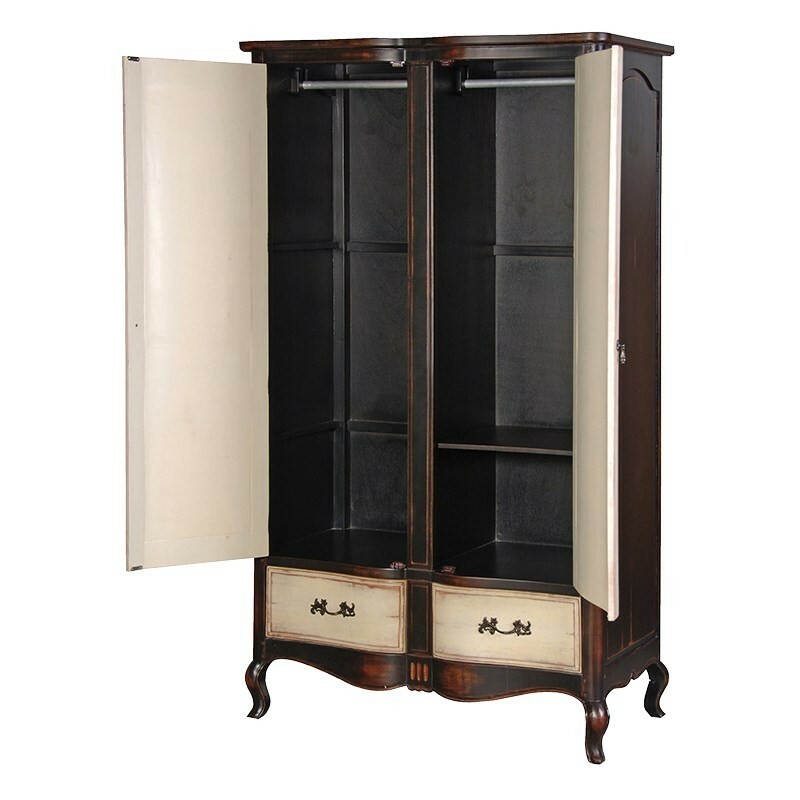 The storage aspect of this piece provides two clothes rails, a shelf and two drawers for plenty of space. Please note that this item may require assembly upon delivery at an additional charge.